OMG, family, friends, food, Polish wedding. . . it was tough getting back to a regular work week. Needless to say my stay in Rzeszów was beyond expectations. The main square was just a few steps from the lovely little bed and breakfast at which we stayed and we walked all over the city. Visits with family and friends were an opportunity to catch up on what’s going on in everybody’s life. Of course in keeping with Polish tradition, you do so while gathering around the table. Food, food, food… Yes, there’s nothing like dining on traditional dishes like bigos, pierogi, barszcz and rosół. This brought back childhood memories of grandma’s kitchen, but I have to tell you, the absolute most memorable culinary morsels were fresh truskawki (strawberries). I was totally amazed that strawberries could literally melt in your mouth! We couldn’t get enough of the sweet, gorgeous, dark red, remarkably juicy berries. And to our delight, the sweet, red truskawaki were everywhere: farmers markets, roadside stands, and being sold by individuals on the side of the road. I keep salivating and dreaming about those little truskawski so Oli shared with me one of his strawberry favorites. 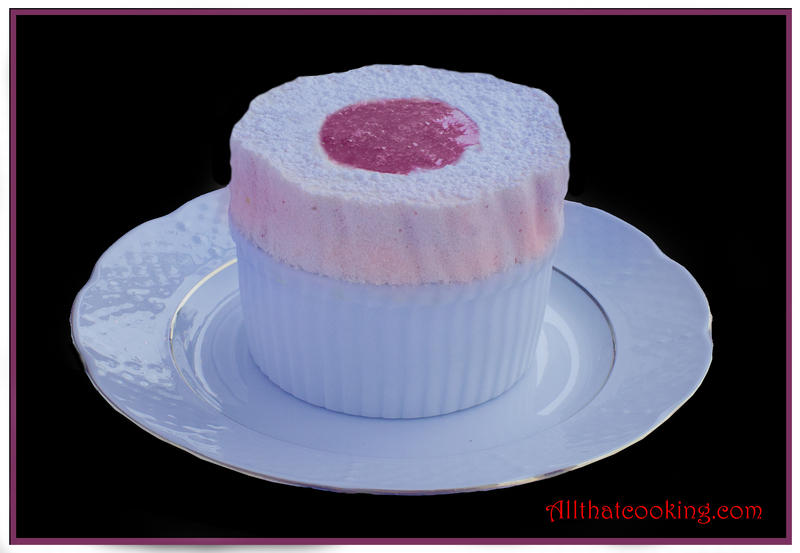 Today, we share with you Oli’s recipe for fresh strawberry ice cream soufflé accented with strawberry coulis. This is one of his make ahead desserts that I absolutely love because it’s easy, doesn’t require an ice cream maker, and has the taste and wow factor that make your guests think you spent hours preparing this delectable dessert. The ice cream needs time to freeze, so it’s best made the night before you plan to serve it. Don’t let the word coulis scare you. It’s just a lovely, sauce made from puréed fruit. You can whip it up ahead of time or just before serving. 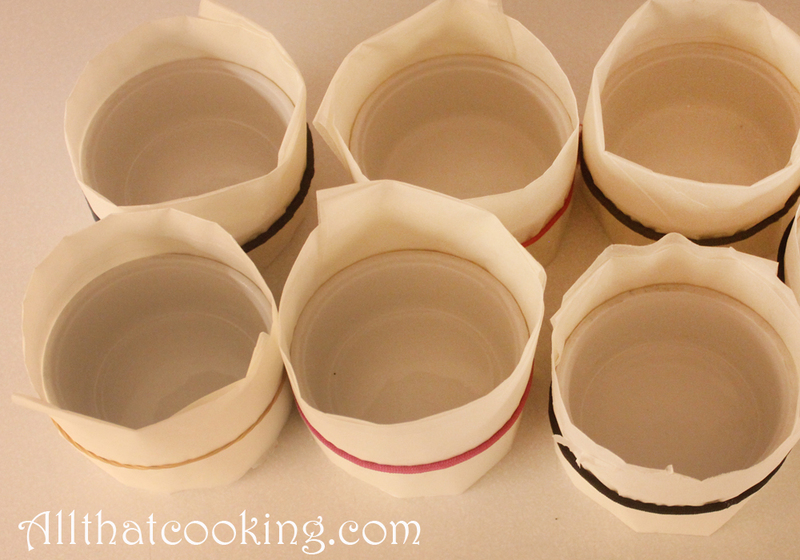 Before you begin, prepare the ramekins. 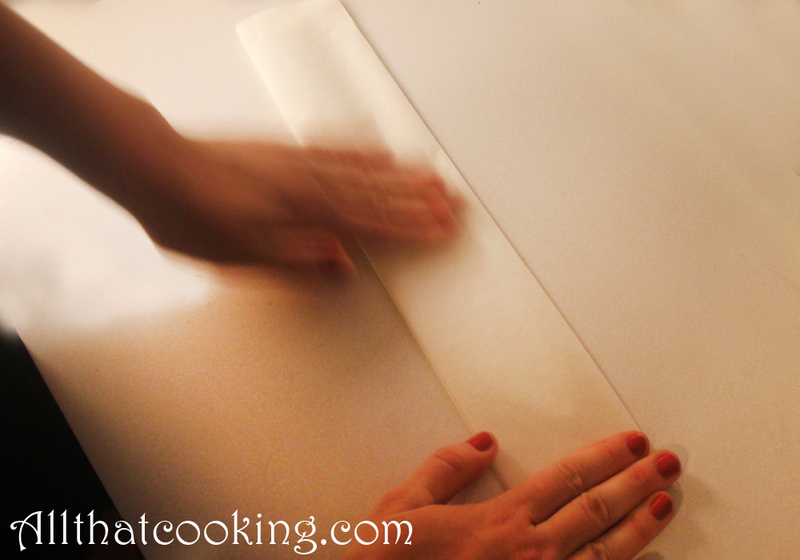 To prepare the ramekins: Fold each sheet of parchment or wax paper in thirds lengthwise. 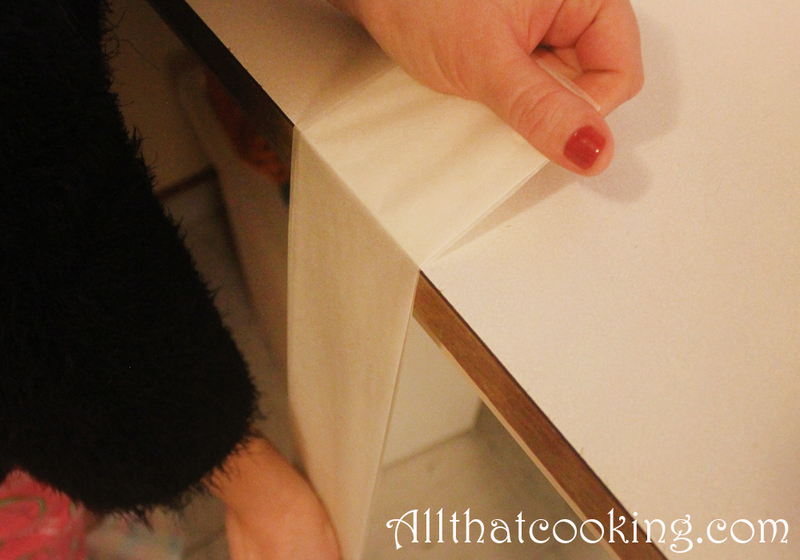 Run each sheet over the square edge of a work surface to strengthen the folded edges. 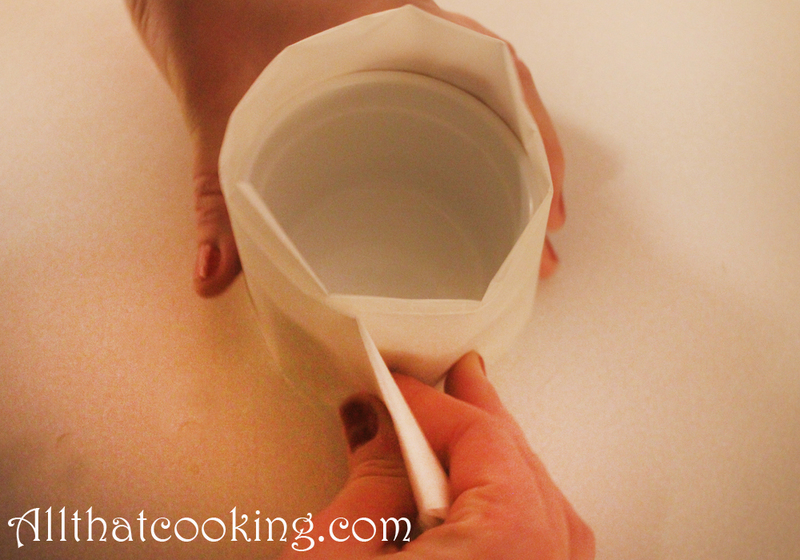 Wrap the outside of each ramekin with a strip of the paper, and make sure that the paper comes about 2-inches above the top of the ramekin. Very tightly secure the paper with a rubber band. A. 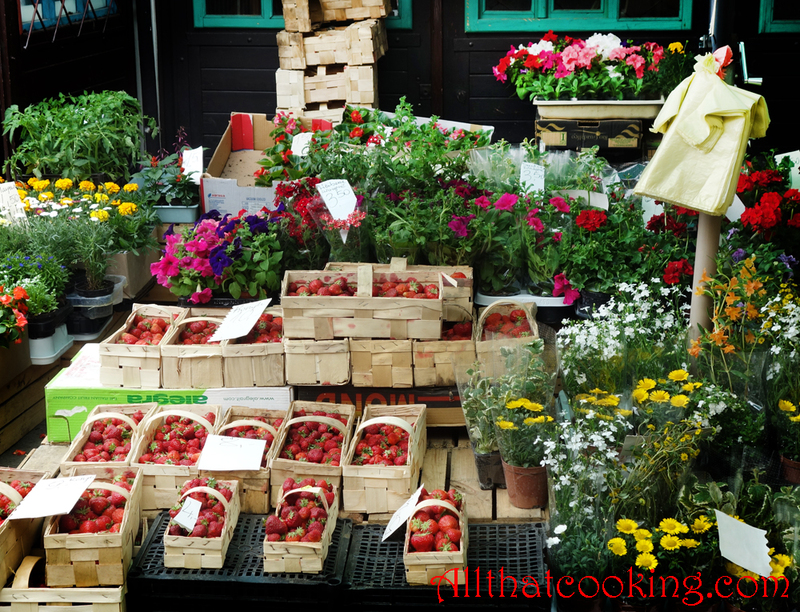 Make the strawberry jam – refrigerate. 1. 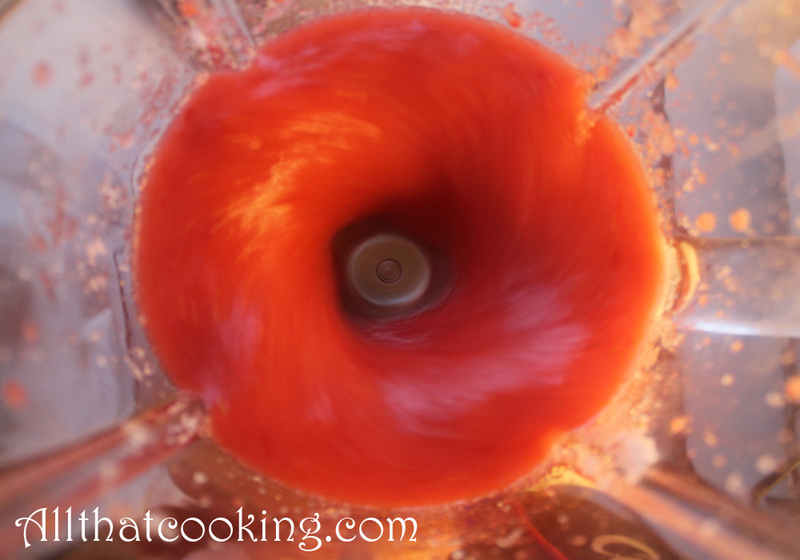 In a small sauce pan bring strawberry puree and 1/4 cup of sugar to a boil over high heat. Reduce heat and simmer until reduced by half. You will have a jam-like mixture. Refrigerate until ready to use, as it should be cool when combined with the cream. 1. 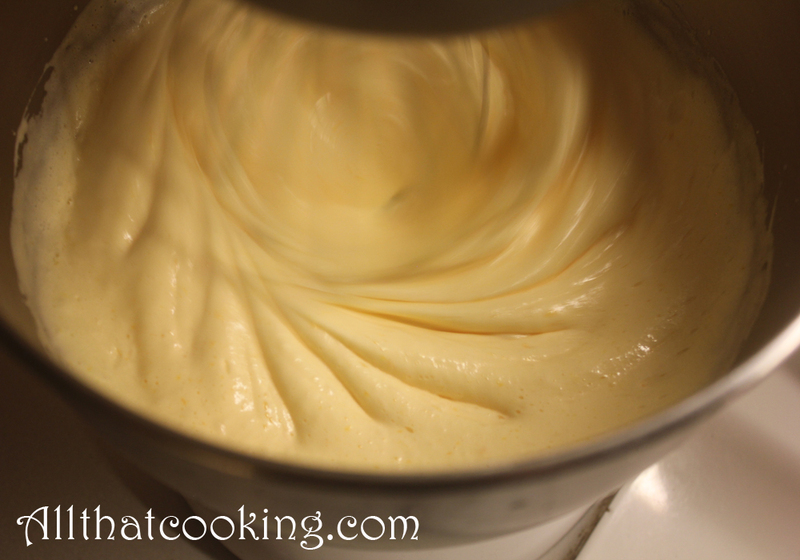 In the bowl of a stand mixer fitted with a whisk, blend remaining sugar, egg yolks, and whole egg until light in color and fluffy but thick. Refrigerate while you go on to the next step. 1. 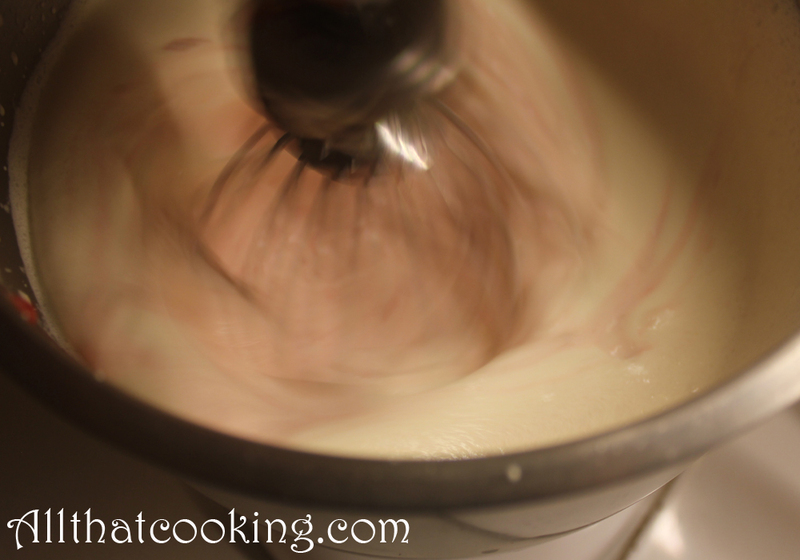 Fit the stand mixer with another bowl and fit the mixer with a whisk. 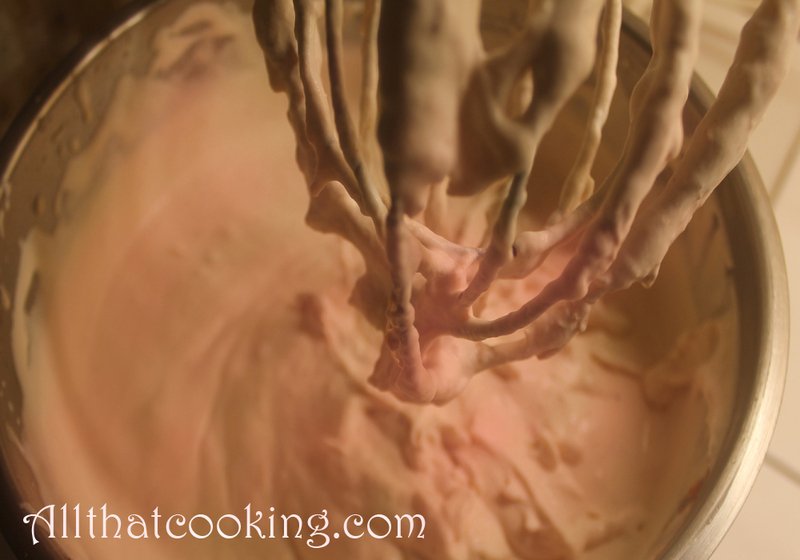 Whisk together strawberry jam and cream until soft peaks form when you raise the whisk out of the mixture. D. Make the ice cream. 1. Leave the strawberry cream on the stand mixer. 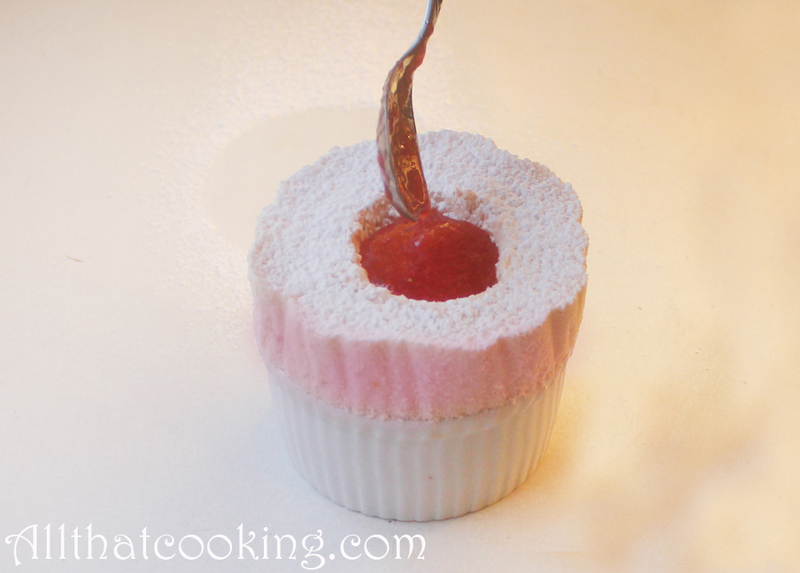 Take the egg/sugar mixture from the refrigerator and pour it into the strawberry cream. 2. Add lemon juice and use a spatula to gently combine everything. 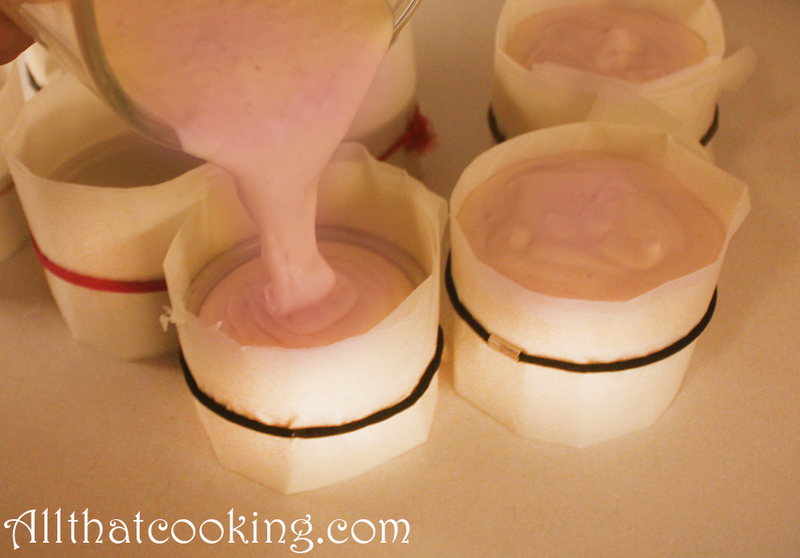 Pour ice cream into ramekins. Freeze for at least 5 hours in order to firm up the ice cream. 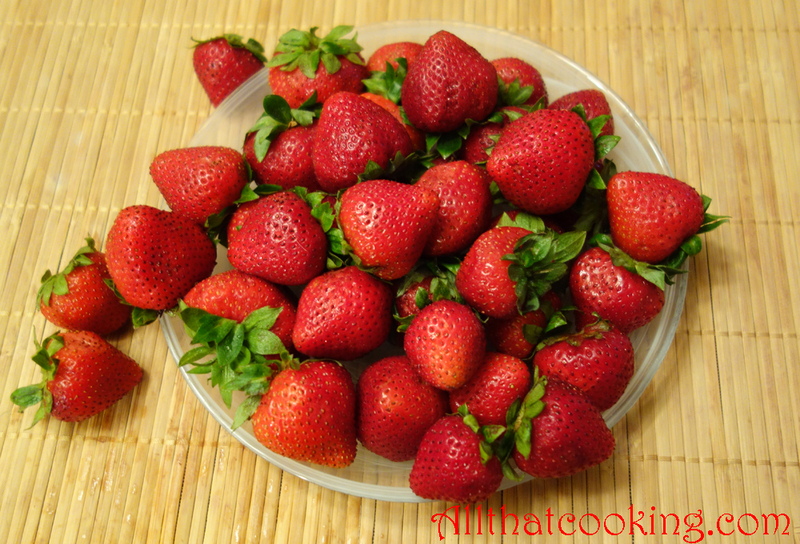 Combine strawberries and sugar in a blender or bowl of a food processor and whirl until pureed. 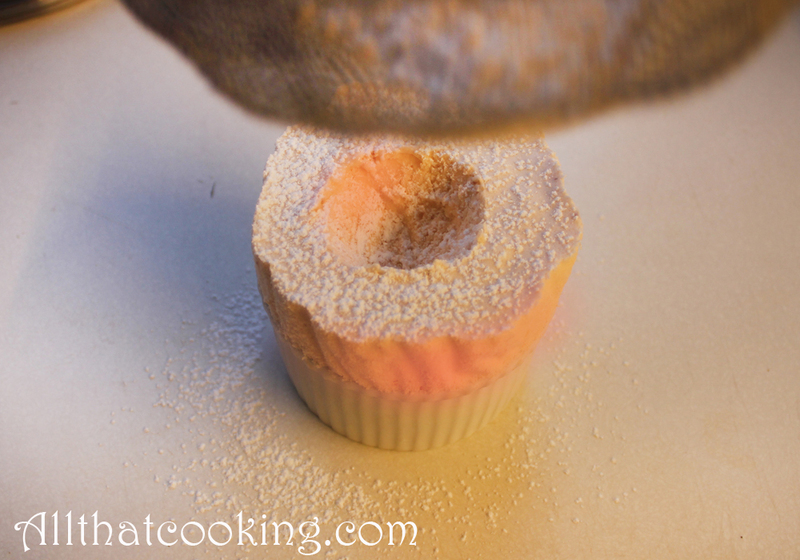 Just before serving dust the top of each souffle with confectioner’s sugar. Remove the paper wrap, scoop a bit of ice cream from the top of each soufflé, and spoon in coulis. Gallery | This entry was posted in Desserts, Ice Cream and tagged fresh strawberry ice cream soufflé, home-made ice cream, ice cream without an ice cream maker, strawberry coulis. Bookmark the permalink. PERFECTION! The delicate pinky colour looks so beautiful. Wedding and truskofkeys must have been lovely. Olis Fresh Strawberry Ice Cream Soufflé . Geothermal Greenhouses are bigger and available all year round. Best wishes, Steinar and Dagrun. Thanks for the invitation. See you there ! !